Each Sunday. 9:15 a.m. And 11:00 a.m. Join us for a light lunch after the 11 o’clock service. Bible Study with The Rev. Peter Leonard. Every Tuesday at 10:00am. The first 45 minutes is a celebration of the Holy Eucharist. There is a short break for refreshments then Bible Study from 11-12. Tea and Talk is on the second Thursday of the month. Invitation: Remember to let people know they are welcome to be a part of our church of friends and family. Upcoming Events at Epiphany Spring 2019 (High School Hours available). *Yard Sale. Sat. May 25. Sadly we don’t have room to store things. Please keep them till then. Thank you! Welcome all quilters or would like to be quilters Below is the pattern we will be using. It’s a combination of two traditional quilt patterns. 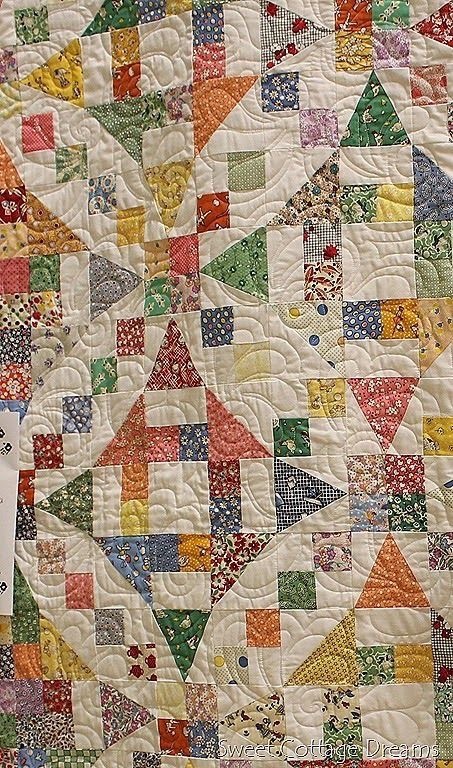 Churn Dish and 54-40 or fight ( the later refers to the US Canada border war) Meetings will be held at the church in the basement every last Tuesday of the month at 7 pm except for August and December until the quilt blocks are done. Bring sewing machine, scissors, seam rippers and neutral thread if you have it. We will use paper piecing and traditional piecing which I will teach anyone who hasn’t done it. Material supplied. Once done the quilt will be auctioned off as a church fundraiser. 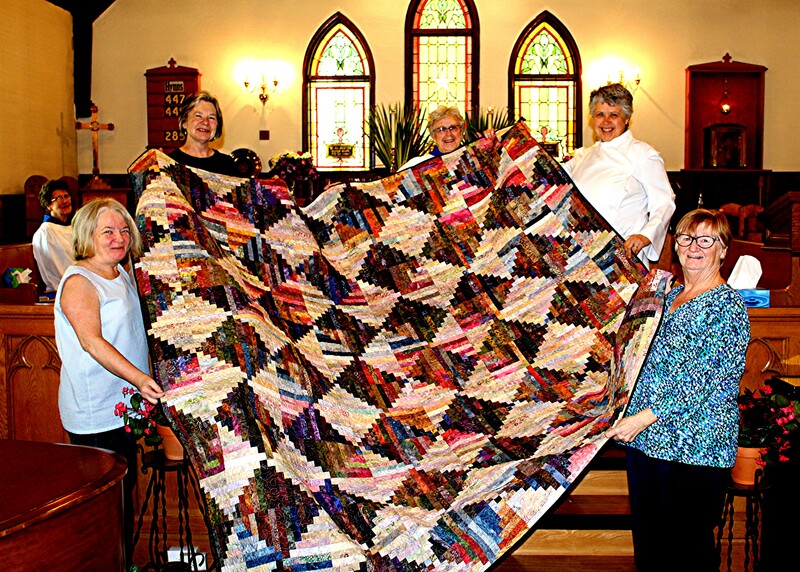 Once again the Epiphany Quilting Society will get together to make a quilt. Details to follow. Last year’s winner of the Quilt was Bruce Jackson. Bruce says he’s always cold when he gets to the church on Sunday Mornings, so he will leave the quilt here. He will use it to warm up before the service. The Epiphany Quilting society was formed in the spring of 2017 with our members being Sandra W who helped with cutting, Rev Teresa, Carole H, Sue D, Janet, with Carole D dong the sewing. Adam came and sewed two blocks too. They paper pieced the blocks which was a new skill for most. That produces the most accurate blocks which was important as most members had never sewn a quilt before. The quilt top is made of batik fabrics which has a great thread count for longevity and rich colours. By October all the blocks were made. And it was quilted and bound by March. 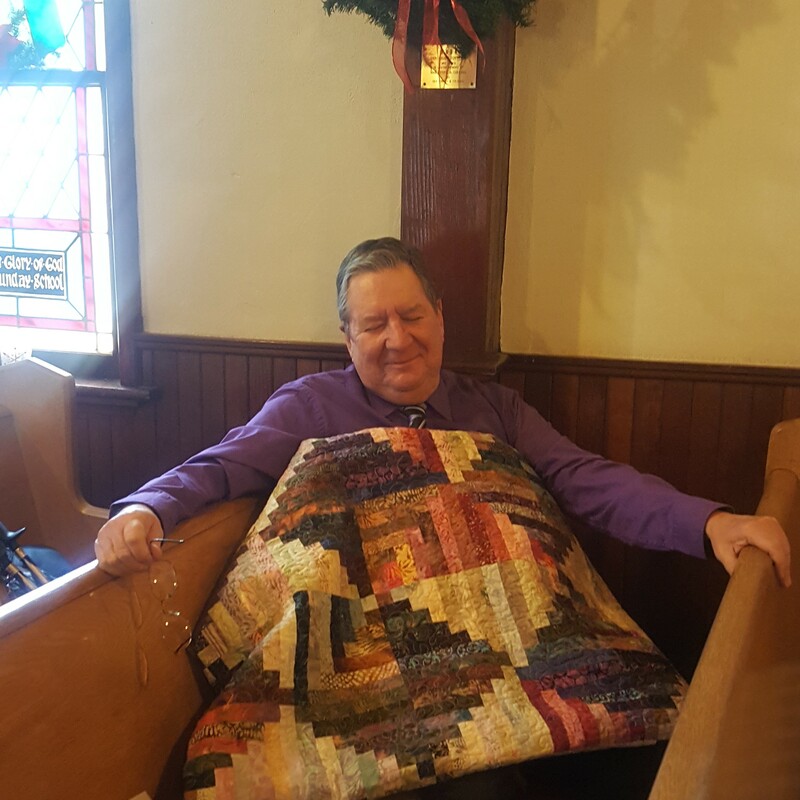 The Quilt was Blessed at the March 22 Sunday Service. The Society had lots of fun making this quilt plan to raffle it off during the year. The draw to be made New Years Eve. The quilt group is hoping to raise moneys towards the work of the Church (especially the food cupboard).